Turtles are among the prettiest pets to keep in the aquarium. They swim around the tank adorably and increase the beauty of your room. 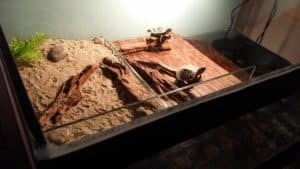 To survive, every animal needs to eat and when it comes to feeding your turtle, it’s a bit confusing to choose the best turtle food from the market. In these days, there are various types of turtle foods out there and normally your goal is to find out the best one for your pet. If you have no idea which food you should choose, I am here to help you in this regard. In this article, I have written about 5 best turtle foods on the market with their pros and cons. You can choose any of them comfortably. Later I have discussed about different species of commonly available aquatic turtles, their food habit and feeding guide. So stay tuned! How to Choose the Best Food for Turtles? Our top pick, available in the market for more than 30 years now! Whether you are an experienced turtle keeper or a novice, you can surely depend on Tetra ReptoMin floating food sticks. The product made by Tetra is worth considering for its versatility and nutrition level. 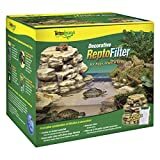 Not only turtles but also newts and frogs can get nutrition from it and that’s why this product is liked by all pet-owners. This package of Tetra can provide each and everything you need whether you are a skilled turtle keeper or a newbie. Tetra Reptomin has a large number of positive user review. People are using this Tetra product all over the world for 30 years now. It is easy to digest, contains Vitamin C, Calcium and a massive amount of nutrients. If you are using this product you can be totally assured that your pet will get the proper nutrition it needs. Besides, this product is manufactured for an easy and quick assimilation which helps the pets to metabolize the food with an ease. The packaging of ReptoMin provides a suitable interior that keeps the food fresh and hygienic. Though it has some drawbacks, the features of this food are outstanding and very helpful. Overall this food is surprisingly good for turtles. This zoo med turtle food is made with pure and fresh natural ingredients. 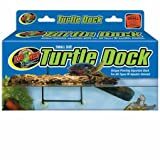 They provide much more nutrition and other essential elements better than any other commercial turtle food in the market. Safety is the main reason why turtle owners like this food the most. You will definitely feel safe and secured while you are feeding this food to your pets. Basically this food comes with 3 different packages: 13-ounce(hatchling), 30-ounce(growth), and 54-ounce(maintenance). You can choose the package as you need. Different sizes contain different level of protein and nutrition. Turtles can get enough protein to grow their muscles with the 30-ounce pack after passing the hatchling stage. The digesting ability of this food is easier than ever. This claim of Zoo Med Natural Aquatic Food is scientifically backed up. 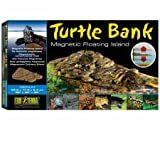 With this mind-blowing product, you can now maintain the health of your pet turtle at an ease the way you want. The natural ingredients it contains prove that your pet will get all the required nutrition from this zoo med turtle food. The 54-ounce maintenance pack is specially made for grown-up turtles and contains a fabulous feature to control each and every physical aspect of your pet. As a result, you can control the physical growth of your turtle and give it a healthier life. The ingredients are completely natural and that’s why this food can offer enough nutrition to your pet turtle. 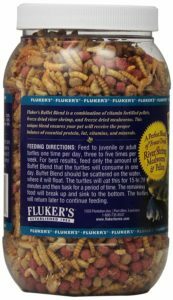 Fluker’s Buffet Blend is a masterpiece to give your turtle the best quality nutrition, vitamin, and diet. The pellets of this food are properly balanced for your pet which will serve them the exact amount of vitamins and minerals. This formula made by Fluker’s is basically a special combination of freeze-dried crayfish and mealworms. The pellets are vitamin enriched which provides a full package of healthy meal with twinkling nutritional form. Using this buffet blend ensures you that your turtle will receive the proper balanced protein and vitamin. You can feed this food to adult turtles one time every day and not more than six times per week. To get enough out of this food try to feed how much they can digest at one time. 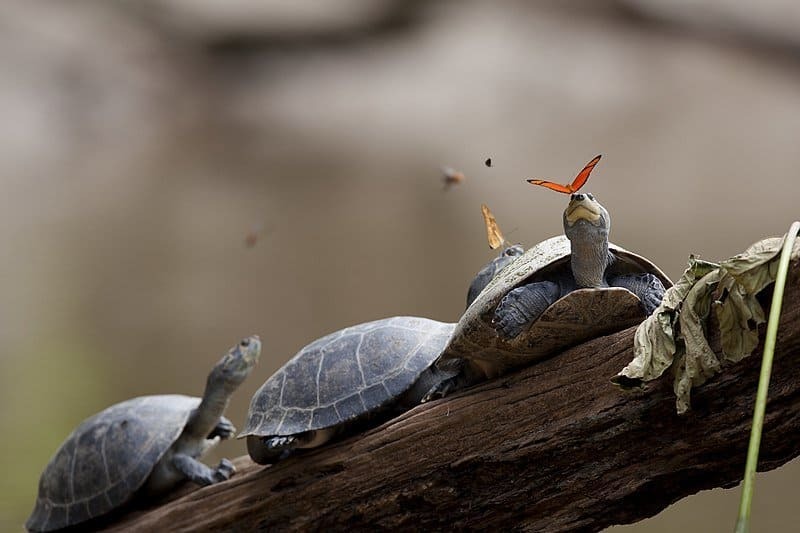 This food floats on water and turtles can easily get to them. After 15-20 minutes of serving, it will break up itself and sink to the bottom of your aquarium or tank. Though this product has a bit of limitation I think you can rely on it for its balanced diet feature and easy sink method. This is another fabulous turtle food from Zoo Med. 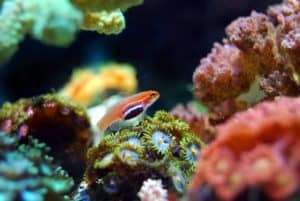 It tends to be a cheese for all aquarium inhabitants. 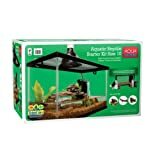 This company has a great priority for your aquatic turtles because they have manufactured such a reliable product to get most out of it when it comes to feeding your pet. 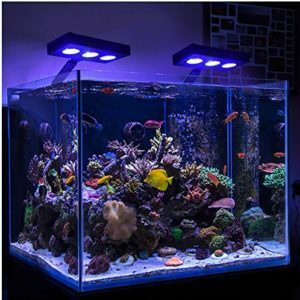 This product has great versatility as it goes with saltwater fish, aquarium fish, turtles and many other aquatic inhabitants which can be kept in the aquarium. This zoo med sun dried large red shrimp contains a large amount of protein which is the best feature of this food. If you are professional at pet keeping you surely know the importance of protein. Protein helps turtle to grow quicker and stronger. The protein percentage of this food is around 70%, which a splendid feature indeed. 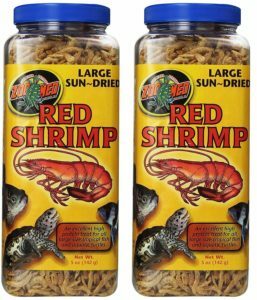 Amongst all the turtle food out there in the market, the Zoo Med Sun Dried Large Red Shrimp has the highest amount of protein. Having a specific nutrition profile will help your turtle to enrich their body with a better fitness. So if you are choosing this food it will be easy for you to grow your pet turtles and maintain their fitness with comfortably. The reviews and ratings of this product are just awesome. People who are using this food have highly praised it. Some of them reported that they have seen a unique quality change in their turtles after feeding this for some weeks. The main problem with this food is it stinks. But as you see it has a great user review so I think you can really depend on this turtle food. 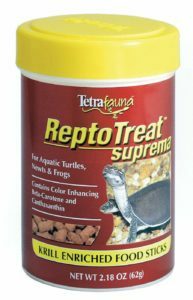 Tetra ReptoTreat is another turtle food manufactured by Tetra which has received high praises. This food contains a solid amount of every vital element which is essential for the growth and regular survival of a turtle. This turtle food contains some interesting ingredients. Along with basic nutrients, it contains omega-3 fatty acid which helps a lot to keep a turtle healthy. It also helps to provide a balanced nutrition to the turtle. Besides, this product has a natural color enhancer. Due to this, body parts and other physical aspects of the turtle become much more colorful and appealing. These tetra reptotreat superma sticks offer every type of essential nutrients to the turtles. This product is high in river shrimp and krill. Krill is mainly a farmhouse of lipids. For aquatic turtles, this lipid-rich food is very important to grow. Though this food is easy to metabolize, turtles can’t digest them easily if you feed a large amount. Pet-owners must feed as much as the pet can consume in a short time. To give your turtle the proper amount of nutrition and protein I highly recommend you to give this turtle food a try. Till now I have talked about different types of food for your aquatic turtle, its pros, and cons, its nutrition and vitamin. As we have finished that chapter let’s take a look at the food habit of some different species of aquatic turtles. 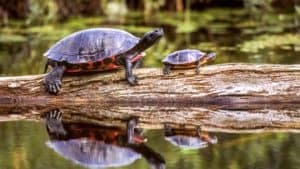 Red-eared sliders are the most popular and common type of turtle being kept as a pet all over the world for a long time now. Basically, they are omnivorous and when they are in the wild they eat everything they get. However, the adults mainly eat plant items. Feeding Red Eared Sliders is a tricky thing. You just need to feed them only the amount they can consume at a time. Besides, uneaten food will make the water dirty. So, you need to feed them in short amount. You can try pellets made by many companies. It reduces the tendency to make the water dirty. Pellets are basically formulated for balanced diet and protein. You should also feed them a few fruits and vegetables two times per week. There are many foods suitable for red-eared sliders but you have to choose what is best for them and what will cause harm. Here I have shown some of the basic safe foods and some which you need to avoid. Carrots, beans, sweet potatoes, pumpkin, lettuce, kale, apples, berries, pears, figs, melon, mealworms, silkworms, mosquito larvae, shrimps etc. Chocolates, onions, iceberg lettuce, processed meats like hot dogs, fireflies etc. Painted turtles are the most attractive species among the pond turtle and their root is from North America. The vivid color of their body makes them look different and uncommon which also helps to recognize them very easily. As like red-eared sliders, painted turtles are omnivorous too and eat both plants and meat. You can offer them leafy vegetables like lettuce, hyacinth or aquatic plants with worms, fish, and other digestible insects. There are many turtle foods on the market that provide the basic nutrition, protein, and fat to pet turtles. The foods are formulated to consume easily and distribute the exact amount of protein. These foods provide masterclass nutrition for turtles at all the stages of their growth. In order to prepare the best diet for your painted turtle here, I’m giving a list of safe foods. Take a quick look at this as it’ll help you to pick the right one and avoid the wrong. Mustard green, Romanian lettuce, kale, bloodworms, daphnia, feeder fish, cooked beef, cooked chicken, banana, berry etc. Rhubarb leaves, avocado peel, iceberg lettuce, tomato leaves etc. Map turtles don’t require a large space like the red-eared slider. They spend maximum time swimming, eating and basking in a dry place. Map turtles love to eat their food when they are swimming. For the proper diet of map turtle, there are various types of food on the market. 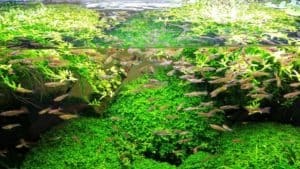 You can try aquatic turtle pellets, green leafy vegetables etc. For their leafy hunger, you can put romaine lettuce, dandelion greens, collard greens, mustard greens etc. to the tank. You can offer them freeze dried shrimp or a fresh piece of apple as a treat but this is not much helpful for their diet and regular activity. Map turtles like to eat insects very much. You should avoid goldfish for higher fat content. Too much protein or fat-rich foods are not suitable for map turtles. Collard green, bok choy, squash, green bean, endives, water lilies, waxworms, aquatic snails, nectarines, plums etc. Potato plants, avocado seeds, poison ivy, tobacco plants, iceberg lettuce etc. As turtles are great as a pet and don’t need much attention, everyone wants to keep them as companions. But taking care of them is a matter of time and effort. To know what to feed your turtle, first of all, you need to have a clear idea on what is essential for them, what helps them to become healthy, what type of nutrition they need and how much. Though the absolute amount varies from turtles to turtles, there is a primary guideline you need to follow. Protein is most important for baby turtles. The more protein you provide to the hatchlings, the healthier they become. Adult turtles don’t need the protein that much, as the adults stick to green leafy items like vegetables, water lettuce etc. A report said that at the hatchling and growth stage turtles need 70% -80% of the protein in their regular diet and the adult needs not more than 25%. 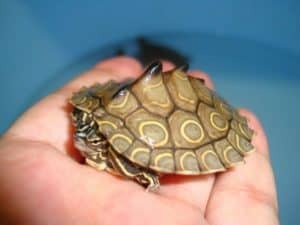 Vitamins don’t take much effect on baby turtles. They need a short amount of vitamin only. It’s important to grow their muscles so they need protein and a bit of fat. But, for the adults vitamin and nutrition is compulsory to have a controlled diet and live a healthy and sound life. Adults need minimum 75% of nutrition every day on their food plan. For the babies, it’s not more than 30%. So if you are trying to choose the best food for your turtles you need to know which food has both protein and vitamin as well as how much nutritional value it contains. For the adults, you need to choose vitamin-rich foods and for those at hatchling and growth stage, you should choose protein-rich food from the market. Serve live foods like worms and insects. Feed them fruits and vegetables in a certain amount. Fruits should only be given as a treat. Keep the protein and vitamin balanced. 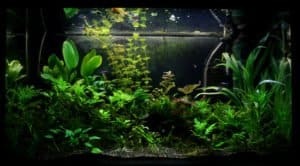 Make sure the tank water is always clean and fresh. Feed leafy vegetables like dandelions, collard green, mustard green, Romanian lettuce etc. to give your turtles a balanced nutrition profile. How much food should you feed a turtle? Ans: You just need to feed them as much as they can consume at a time. Feeding extra foods may cause harm. Many pet turtle owners said that feeding in little amount is actually better for health. The amount varies from size to size though. How frequently should you feed a turtle? Ans: Young turtles need a lot of food. So you can feed them almost every day. But the adults don’t need to eat every day. You can feed the adults 4 times a week and the young ones 6 times a week. Feeding in the water or on a dry place? Ans: You must feed aquatic turtles in the water. They can’t eat without being in the water.